Dream is a series of innovative new world-class hydromassage bathtubs designed by renowned international designer Marc Saddler, manufactured by Gruppo Treesse in Italy and adapted to US electrical and plumbing standards by Aquatica Plumbing Group Inc. Aquatica is proud to be the exclusive US distributor of this innovative bath line. 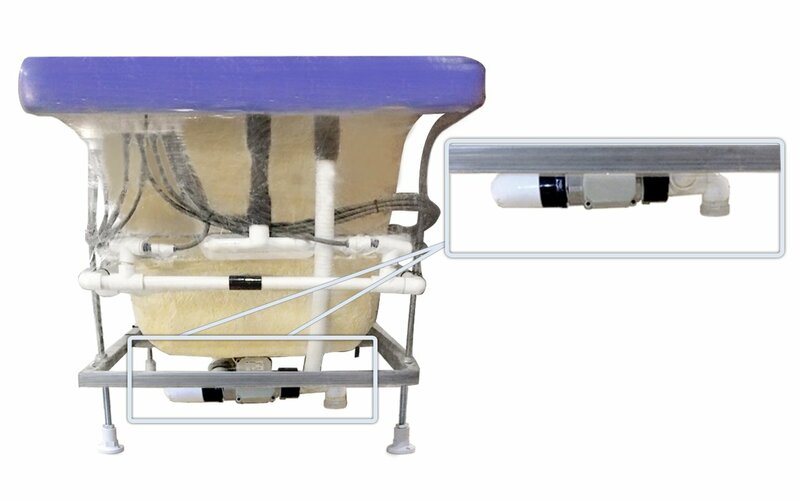 Among the unique characteristics of the Dream bathtub line is the distinctive concealed therapy system, which is installed inside a thin cavity located in the inner perimeter of the bathtub. 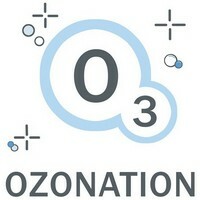 Air is injected into the hydro massage system to achieve a more pleasurable massage effect. All the Dream series bathtub hardware is concealed. There are no visible faucets while the drain outlet and overflow is designed without any intrusive holes on the tub’s inner surface. Tired of seeing ugly jets sticking out of bath surface? 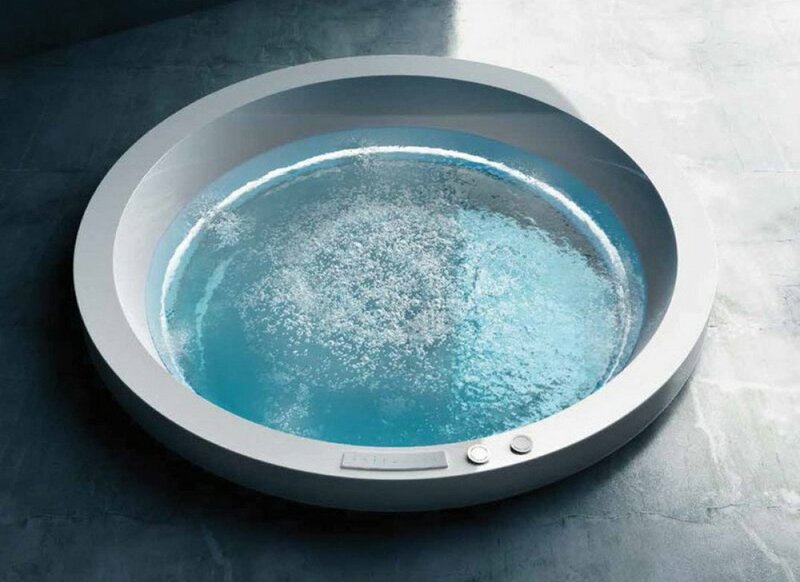 The Dream bathtub’s hydromassage micro jets are made of stainless steel and installed along the inner perimeter of a thin inside cavity – a truly distinctive and very innovative design feature. 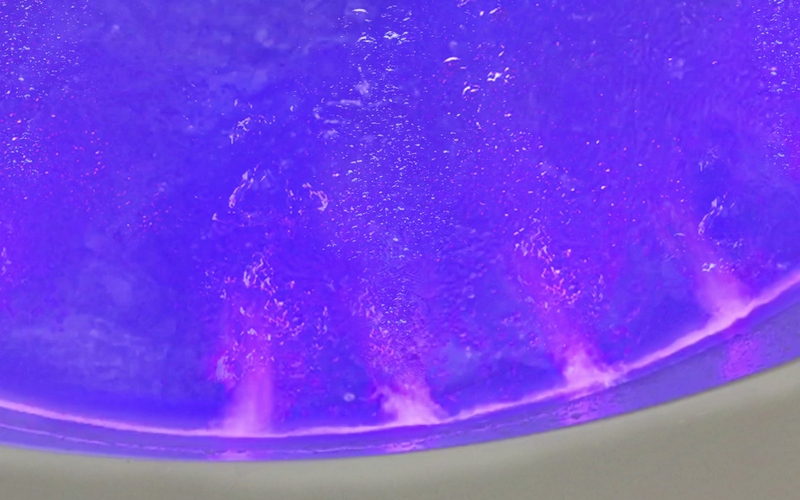 Light shines from all around the bath perimeter - this creates a blade of light that “magically” animates the water swirl from the hidden nozzles. 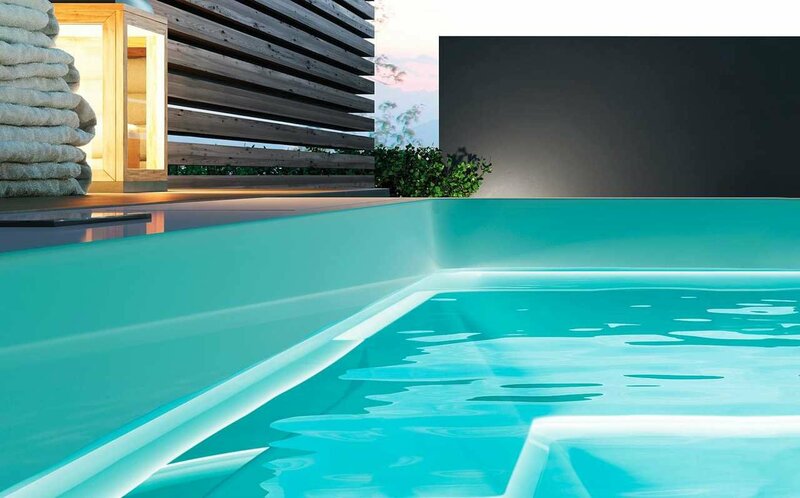 The concealed underwater chromotherapy system is designed to provide an unparalleled light therapy effect. 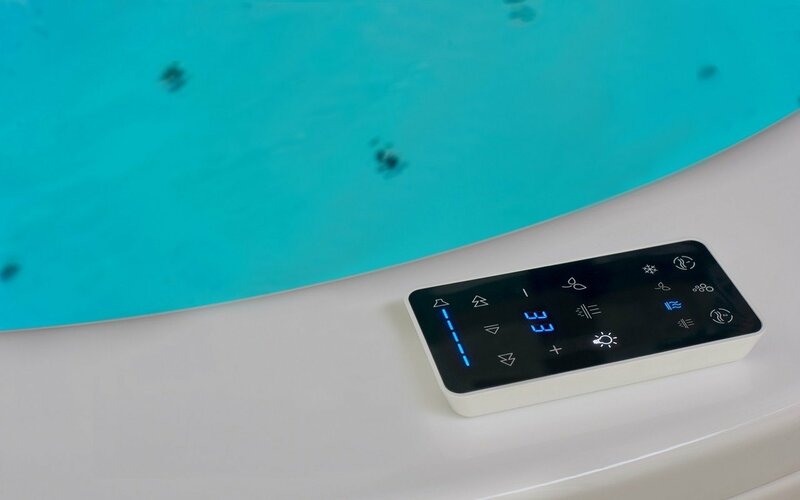 The Dream line bathtubs feature advanced bath controller with water recirculation, temperature control and modern capacitive glass keypad. 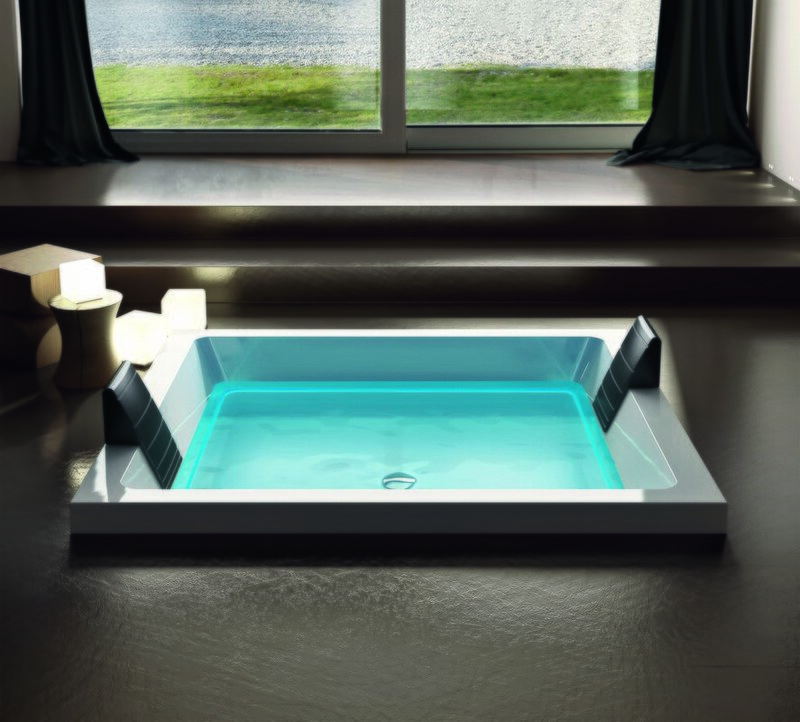 The advanced composite material from which the Dream line bathtubs are made, allows for both indoor and outdoor use as long as the water is not allowed to freeze inside the bathtub. 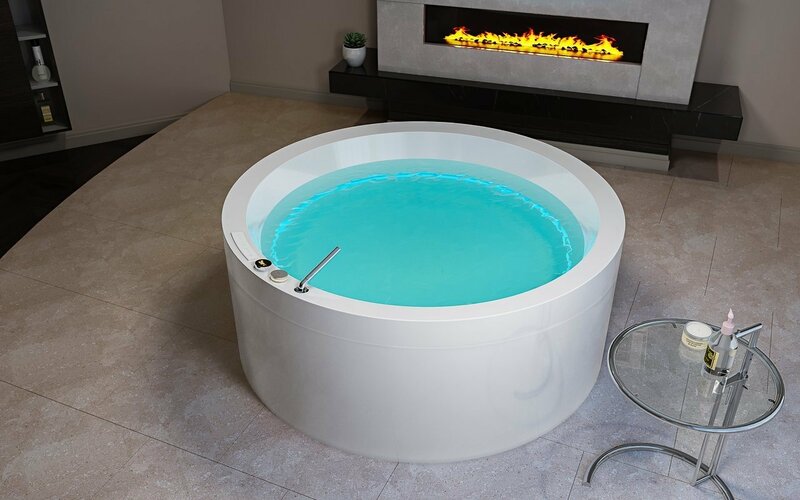 Our 240V HydroRelax and HydroRelax Pro (Ofuro Tranquility, Pamela HydroRelax Pro, Allegra HydroRelax Pro, Lacus HydroRelax Pro, Dream HydroRelax etc) bathtubs are equipped with an innovative ozone water disinfection system for a healthier and more enjoyable bathing experience. Designed to deliver clean, crisp, rich sound in the high-fidelity rendition expected by music lovers, Aquatica Audio Station features Class D amplifier technology to enhance your bathroom audio experience. Delivering 300W peak at low distortion, our audio station features high-quality audio transducers and a built-in subwoofer with integrated digital filter and adjustable volume. 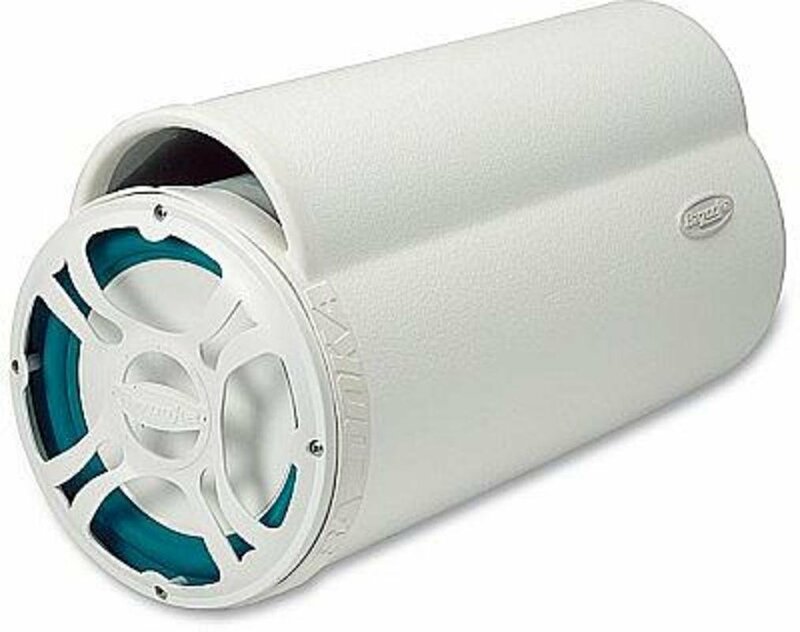 With a 6-inch, high power cylindrical subwoofer, Dream baths and HydroRelax bathtubs provide you with that missing low-end in your favorite tracks that you cannot get from various mobile Bluetooth speakers so often used in bathrooms. 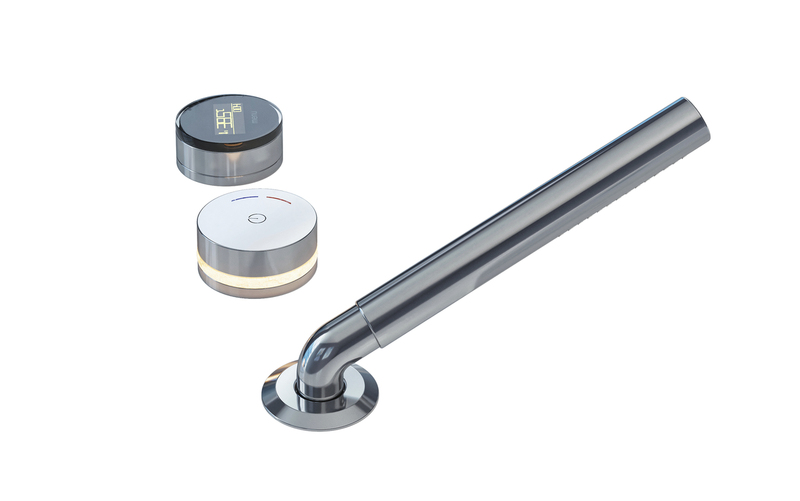 Optional beautifully designed and electronically controlled thermostatic bath faucet with diverter and streamlined hand shower, both with scalding protection, ensures safe, accurate water temperature selection. Powerful dual pump-compressor driven therapeutic back massage is a distinctive feature of Aquatica Fusion and Dream HydroRelax series bathtubs and spas. Air Assist Turbo Massage (AATM ™) provides a stronger and more intensive back hydromassage then traditional pump only based systems. Please note! Our Fusion and Dream series HydroRelax bathtub and spa models come with an offset drain outlet option. The bath drain is centered to the width of the bath, but beneath, the drain pipe outlet can be offset to either side. It gives you more flexibility as to where you can position the bath, particularly if you are renovating and working with an existing drain outlet. You can select the direction upon ordering – simply talk to our knowledgeable sales consultants! This smart, professional grade audio system has been crafted for commercial and residential spas and outdoor/indoor hot tub locations. 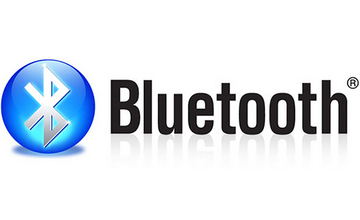 It integrates hi-fi sound from omnidirectional speakers with a Bluetooth receiver and RGB LED lighting to create impact or soft, mood-setting light diffusion.